Planes expands the world of Cars vertically, taking a look at the lives of the planes that make up this world of sentient vehicles. What do wings add to this world? As it turns out, very little. Despite having the wide blue sky to explore, and a grand history of aviation to draw as inspiration, the film is ultimately just about another race, even though racing isn’t exactly what one thinks of when one thinks of planes. It’s a terribly generic film that only serves to tarnish the already shaky animated world that it leans on. Dusty Crophopper (Dave Cook) is a crop duster who dreams of racing. Despite discouragement from almost everyone he knows, he goes on a qualifier for the Wings Around the World race, and he manages to squeak in. With the help of retired Navy Corsair Skipper, Dusty prepares for the grueling international race. But there are several things standing in the way of Dusty's success: a dangerous, lengthy course, a strong field of competitive racing planes, and a fear of going too high. There is a scene in the middle of the movie that has a couple describing the main character as a classic underdog story. "Like Rocky," one of them opines, because Rocky apparently exists in this world of sentient vehicles. Whatever the case, it's true: the film doesn't really try for much more than following the old sports underdog formula. This in itself isn't really a point against the movie; many animated films ape the elements of classic genres of cinema. But they often make up for it by imbuing these stories with the kind of imagination that only a cartoon can provide. But Planes is low on that kind of imagination. In fact, it piggybacks on an existing property, proclaiming right at the start that the movie occurs in the world of Cars. Taking to the air hasn't added anything to that animated world, either. In the end, even though racing isn't as big a part of aviation as it is in automobiles, the film still defaults to just being about a race. The film doesn’t seem to realize the strange paradox in its messaging. It seems to make the point even the humblest of origins can lead to greatness, but at the same time, its character can only achieve greatness by being a racer. Somehow, crop dusting isn’t noble enough a profession to achieve any sort of greatness. The race manages to be uninteresting as well. The film is unable to wring much drama from the scenes of planes racing, and just seems to gloss over long sections of the course. We don't see what it is that makes Dusty able to overcome much of his competition, making a lot of the story feel like empty filler. Visuals are okay and the voice acting is fine, but one has come to expect that as just the most basic things an animated film will provide. 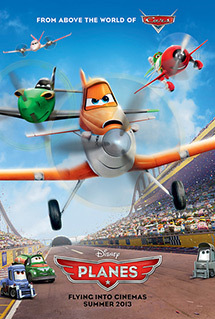 Planes shares several similarities with another animated film this year, Turbo. Both are about unlikely racers participating in the world's biggest race. 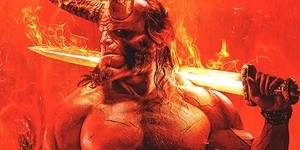 What's different is that Turbo delivered a far more compelling world, one founded on a genuinely twisted sense of humor, enhancing the formula through sheer commitment to the insanity. In contrast, Planes is like chewing on white bread. It fills in the checkboxes on the list of things one expects in an animated film. And then it stops.